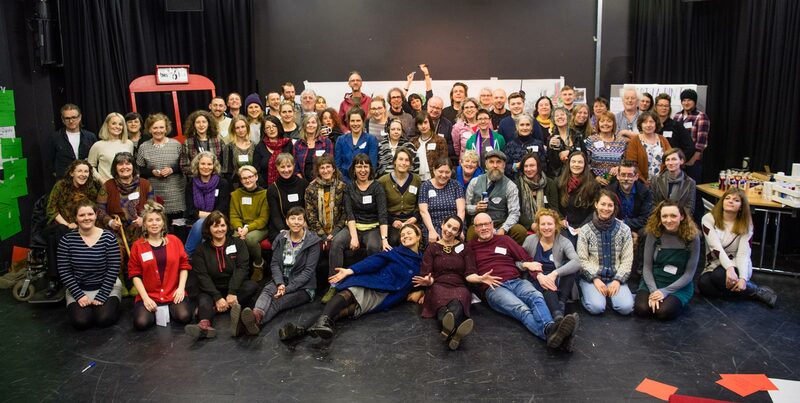 In March, Articulture gathered together eighty-five producers, artists, land and venue managers and festivals to discuss outdoor arts in Wales – what had been achieved since our last gathering in 2012 and what the future holds at the National Outdoor Arts Gathering Wales. On day one, workshops explored how work can be created, considerations for large-scale work and how to book a tour. In the afternoon, we considered what actions could support future development. Day two was a group adventure and creative brainstorm in partnership with Visit Wales. We have collated all the feedback offered by participants during the two-day event into a report packed full of useful ideas, insightful advice and inspiring ambitions.